Eric Nielsen is an award winning composer, and an orchestrator, musician, and sound designer who enjoys the process of scoring to motion picture, media and games. He is fascinated by the art of storytelling, and brings elements of this craft to his music. Eric is writing music and creating soundscapes for children’s books for Novel Effect, an interactive storytelling app. Eric’s score for The Long Haul (2017), a feature documentary by Amy Enser, has been produced and mixed. He has also recently completed writing and producing the music and sound effects for the feature film Collapse, a feature film directed by Jason Morris. Prior to these projects, Eric composed music for two short interview spots for a Keep Film In Washington campaign in 2015, and also contributed his sound design and audio engineering talents to complete the final audio mix of Flesh of My Flesh, a feature film from Hellbender Media premiering in April, 2015. During the spring of 2014, Eric scored the short film Hannah & Otto with live string orchestra and piano, which premiered at SIFF 2014. His orchestral work Africa Dances, Africa Dreams premiered at Benaroya Hall in March 2013 as part of the Celebrate World Music concert. Released on CD, Celebrate World Music is also the Contemporary Classical Vox Pop Winner of the 13th Annual Independent Music Awards. Eric is co-composer for ZeroPoint Studios‘ premier game title Ancient Aliens: Severed Skies. He is also the composer for America’s Fighting Dinosaur, a faux-documentary that is currently in production, and is composing for a variety of other up and coming film, web-series and concert projects. A keyboardist and electric and upright bassist, he has also performed a smattering of guitar for This Is Ours, a feature length independent film, and enjoys making music with just about any instrument he gets his hands on. Eric studied composition of dramatic music for motion picture, and is a graduate of the two-year Pacific Northwest Film Scoring Program with Emmy award-winning Hummie Mann. He has also practiced under the tutelage of Tim Huling, composing and orchestrating for small chamber ensembles and full orchestra, as well as with a number of other masters, including jazz bassist Doug Miller and songwriter Sue Ennis. With a B.A. 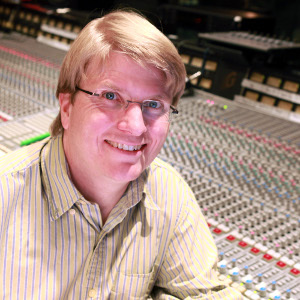 from The Evergreen State College, he focused primarily on multitrack analog recording and electronic music, and also composed and performed music for theater. Eric has served as a board member of the Seattle Composers’ Alliance for four years from 2010 to 2014, two years of which he served as President. He is also served as board member of Philharmonia Northwest, a Seattle-based chamber orchestra from 2011 through 2013. Eric is an active member of the Seattle Composers’ Alliance, and has organized and co-hosted Ravel Study in Seattle. He is also a member of the Game Audio Network Guild, the International Game Developers Association, and The Society of Composers and Lyricists.